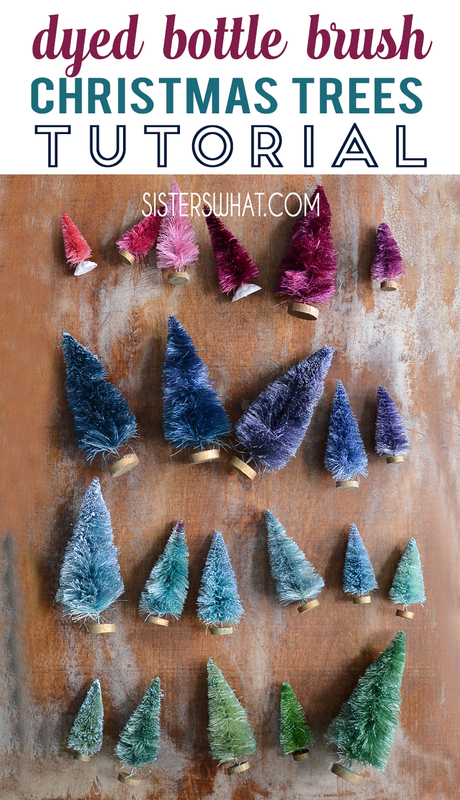 ' DIY Colorful Christmas Brush Bottle Trees - Sisters, What! 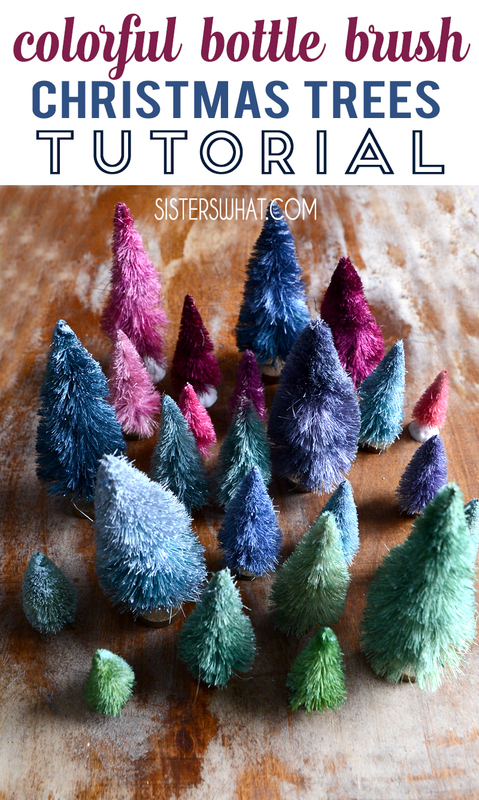 Colorful Christmas Trees are easy to make using brush bottle trees aka sisal trees. 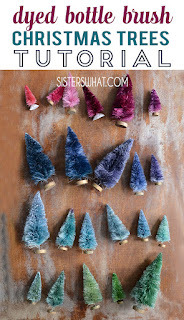 You can dye them any shade or color that you can find in the store. 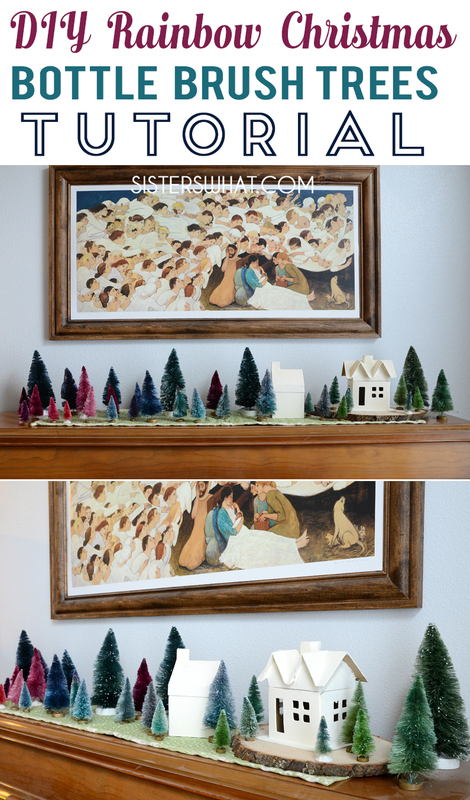 Such a fun way to add bright colors to Christmas Decoration. Christmas is such a magical and wonderful time of year. So much festivities and so many fun things to do. I have always loved the decorations. 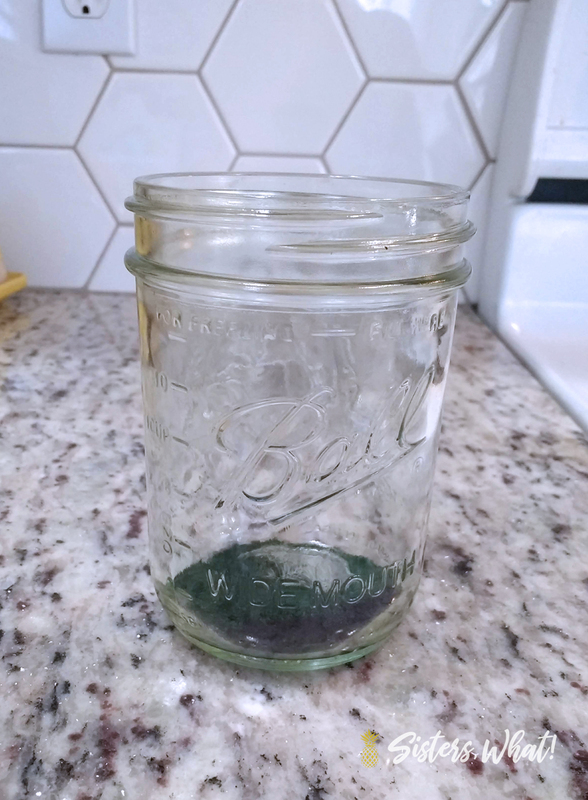 But, I’ve toned it down a few years ago because I’ve either been pregnant or just had a new baby and so my energy level is low and can make me a little Grinch-y. But as my kids have gotten older, their Christmas spirit is contagious and I have started doing more because of them. 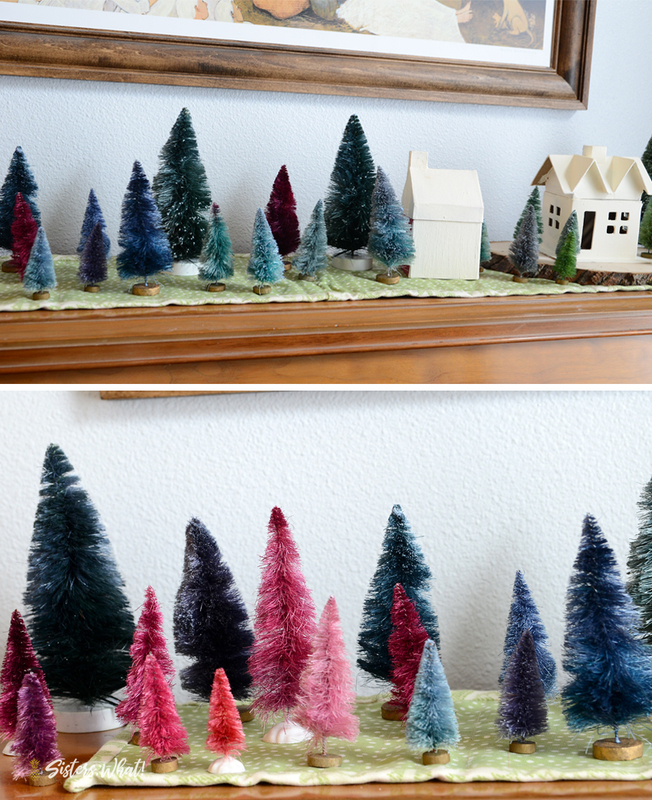 So with some trees from JOANN, I decided to make some colorful trees. 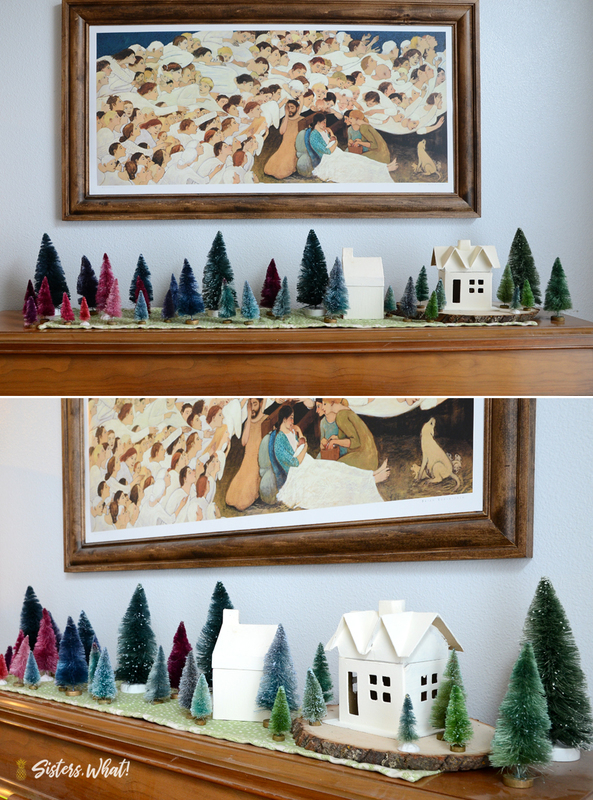 I’ve been wanting to do colorful trees for years, but haven’t got around to it. But this year, I decided it was time to finally make some. The Christmas tree is my favorite decoration because it means everlasting life that Christ can bring to us. I just love how the decorations can give us that constant reminder. 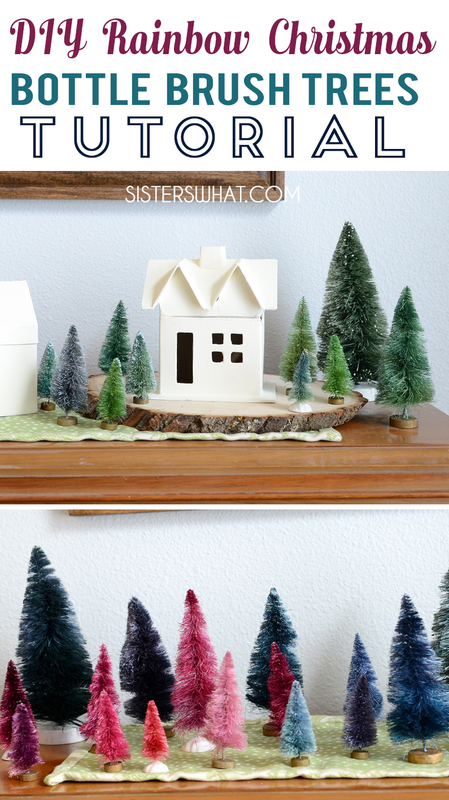 Thus, these miniature Christmas trees are a fun addition to our Christmas décor. I just wish I had made them sooner, they were ridiculously easy to make and really fun to make in various of colors. Mix 1 tsp to 1 cup really hot water (really hot tap works fine, but I used boiling water). 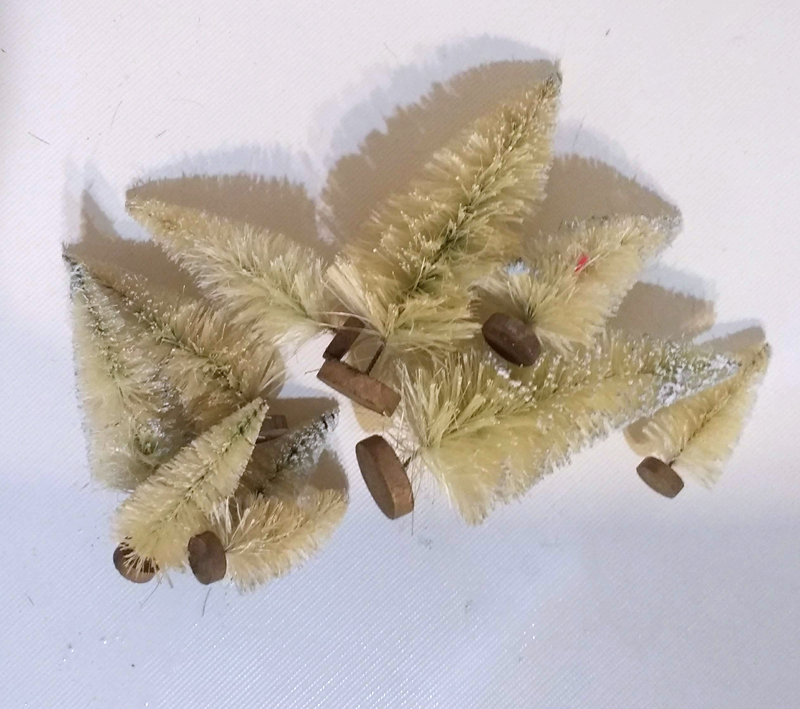 Dip trees for 10-30 seconds. 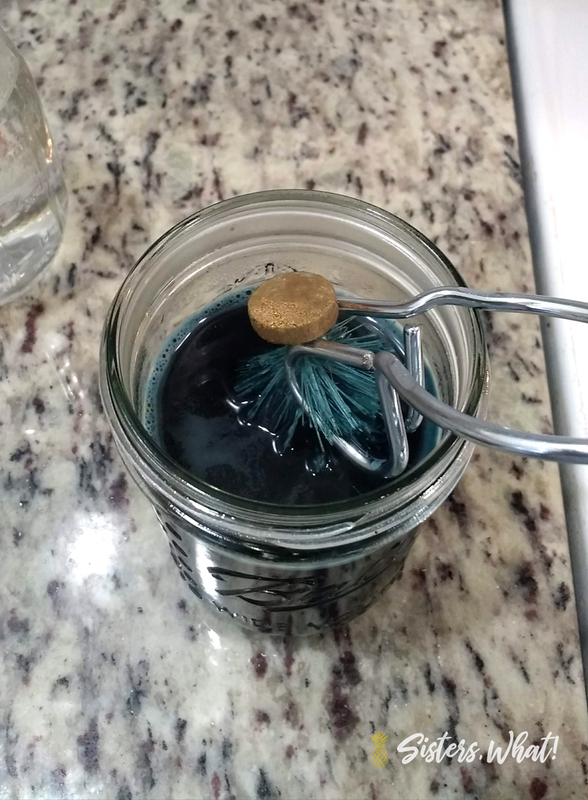 The longer they’re in the dye the darker and more vibrant the colors. TO get a variation in colors, just dip in one type of blue and then dip in a green color. This will make more teal colors. 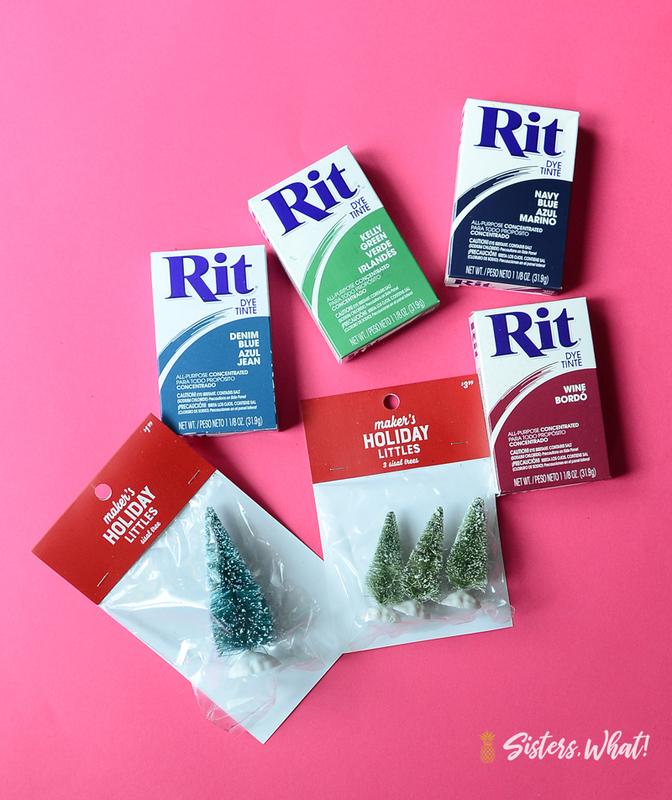 Once you’re happy with your colors, rinse trees in water until the water runs clear. Let trees dry. 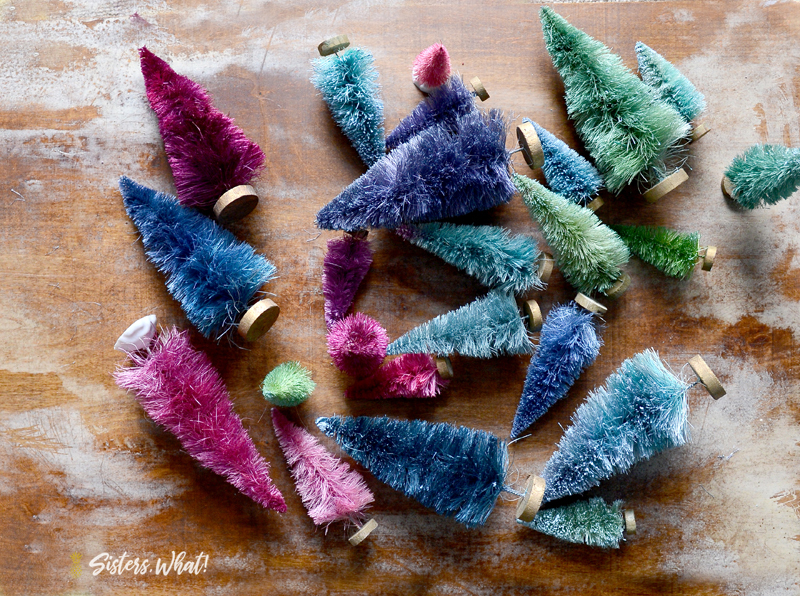 Are you ready to dye your own Christmas trees? Awesome Havalah. 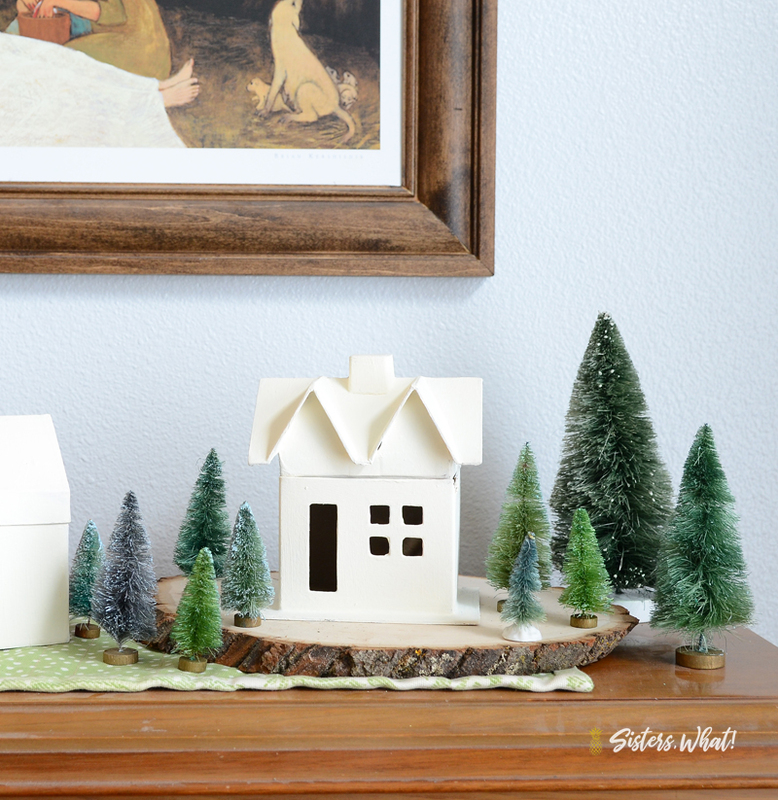 I love the little white houses you have with the tree. Text me the name of the picture above too. I love the whole scene. Best of all you are bearing testimony of the Savior. Thank you gorvyoyr wonderful example of this. I love you. Mom.